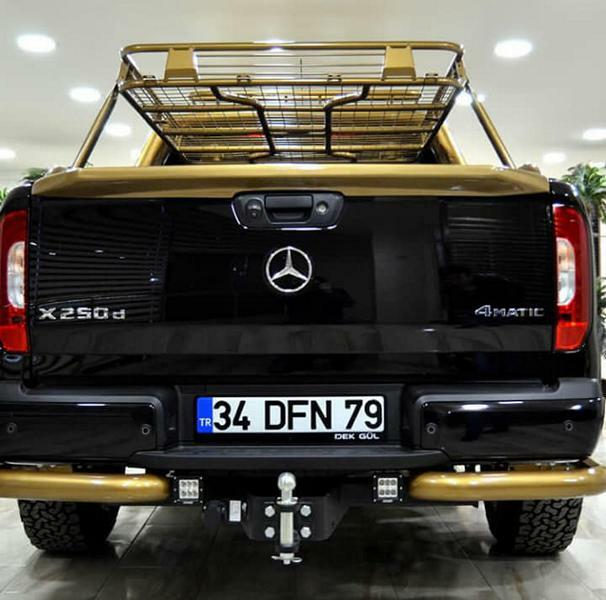 Being a pickup truck, the Mercedes-Benz X-Class is imposing due to its muscular look. 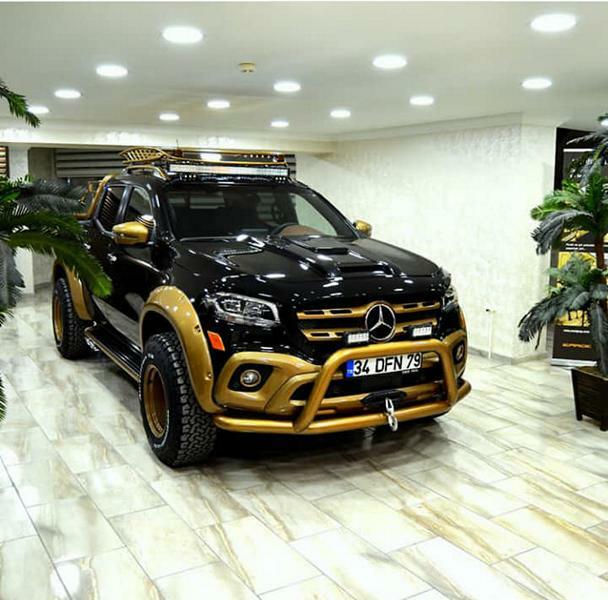 However, an unnamed Turkish tuner was able to fit the vehicle with several cosmetic upgrades, which put a touch of opulence to its rugged looks. 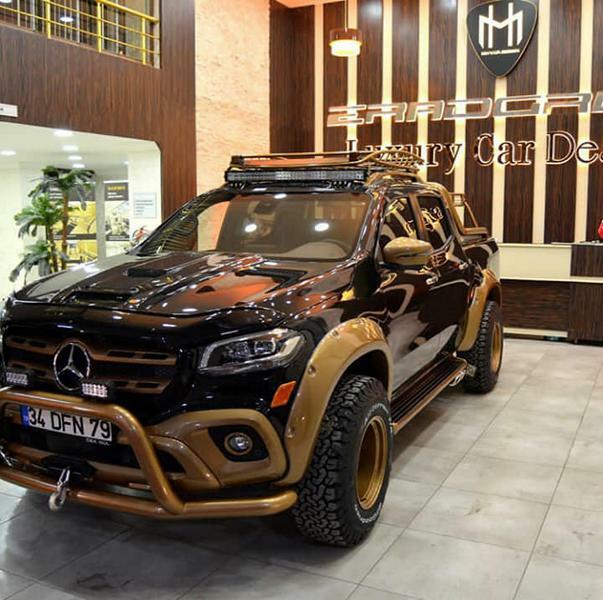 What we have here is a Mercedes-Benz X250d pickup. 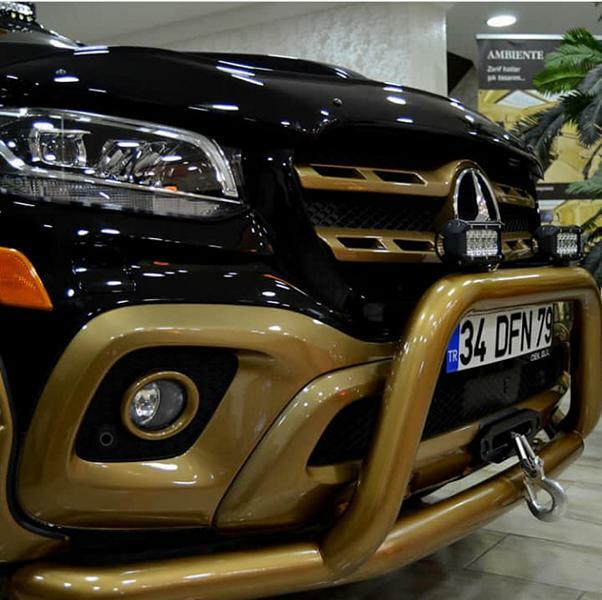 This particular unit features a black body paint but some of its key areas like the radiator grille, bumper, bull bar, fenders, roof rack, roll cage, side mirror caps and wheels offer a contrasting gold finish. The bull bar of the X-Class shows auxiliary headlamps fixed into it while the roof is fitted with LED lights. A winch can also be found in front of the auto, which is very handy in off-road emergency situations. The hood of the vehicle appears massive too, and it comes with inlets to improve the circulation of air under its hood. The fenders are extended as well, and the running boards of the pickup are now more prominent. 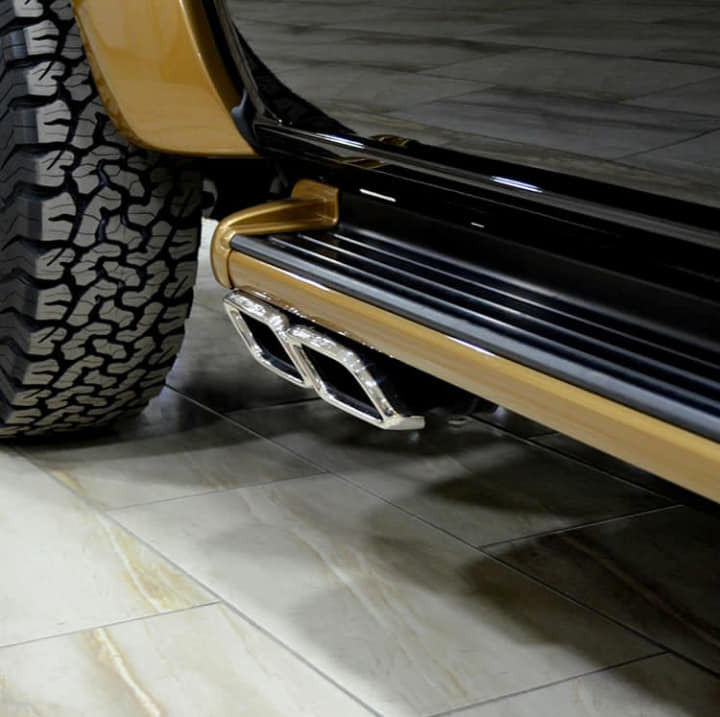 Going to the sides, exhaust pipes resembling that of the G-Class can be seen. 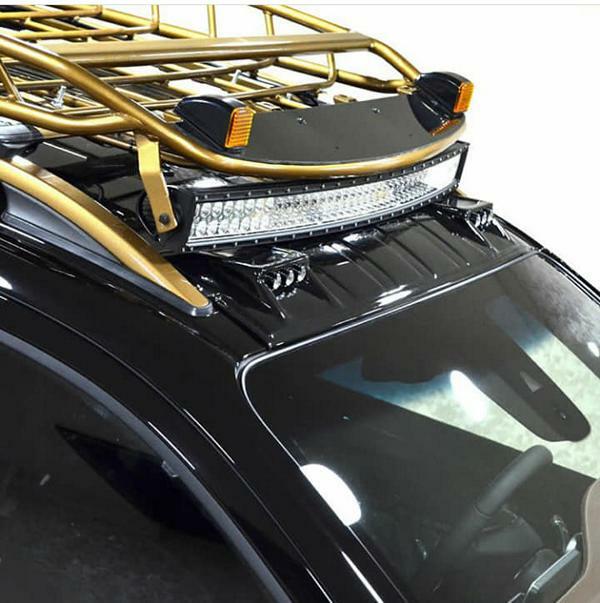 Examining the auto further at the back reveals a tubular roll cage that functions both as protection in the event of a roll over and as a cargo bed rack. 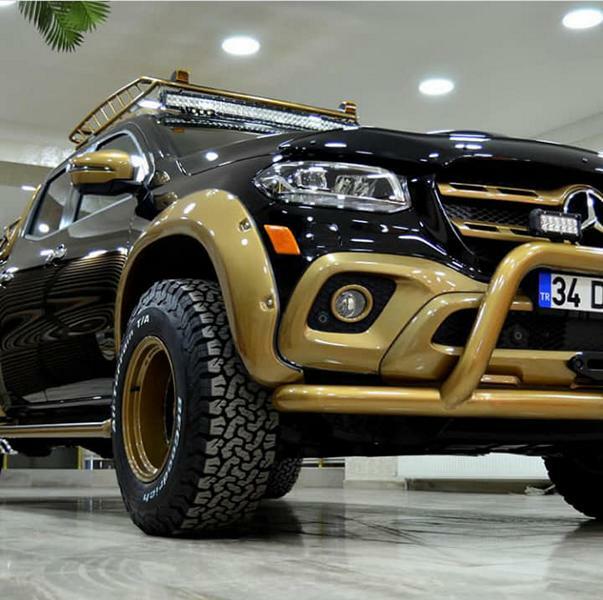 We don’t know the size of the modded X-Class’ wheels but it appears to be more than 20 inches. 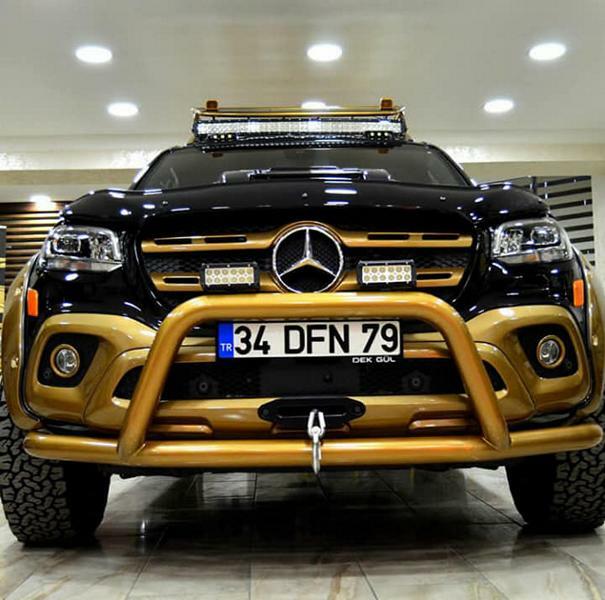 These are wrapped in BFGoodrich All-Terrain tires. The base of the auto looks elevated but we can’t determine how high the suspension was raised due to the scarcity of information about it. 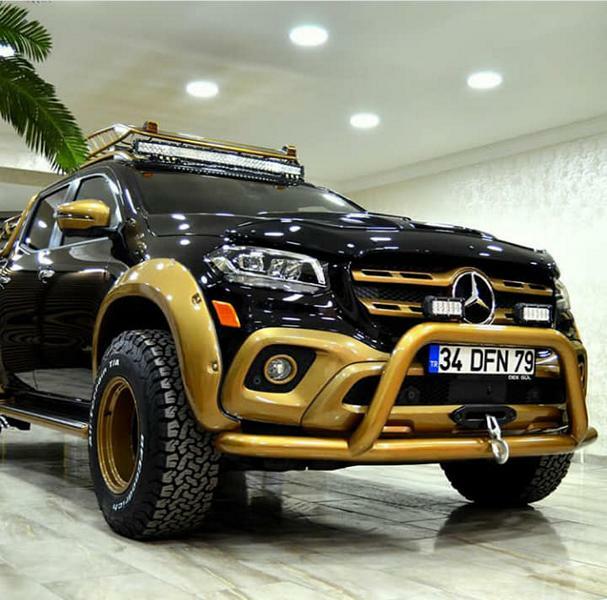 We are yet to find out if this upgraded Mercedes-Benz X-Class carries a boost in its engine.